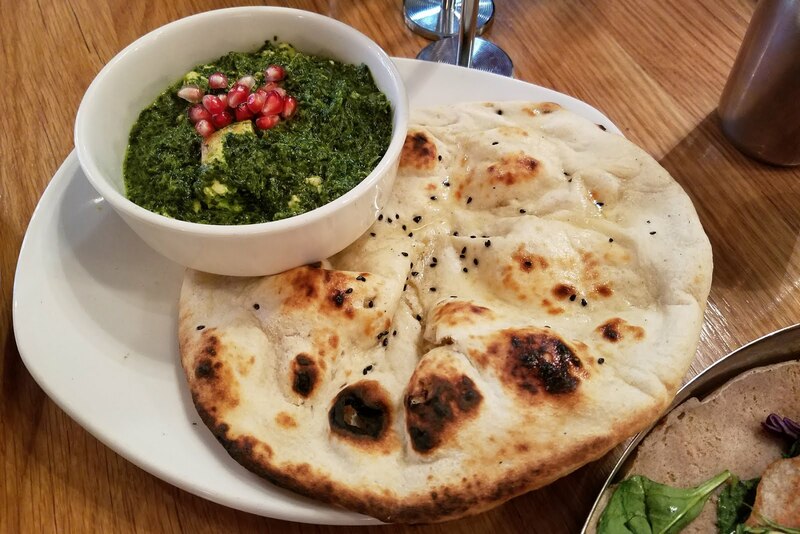 Anti Jaisinghani is getting all sorts of great press for bringing her Indian sensibility to her first New York City location of Pondicheri. We showed up on Meatless Monday to a pleasantly half filled dining room and a dazzling menu from which it was near impossible to decide. 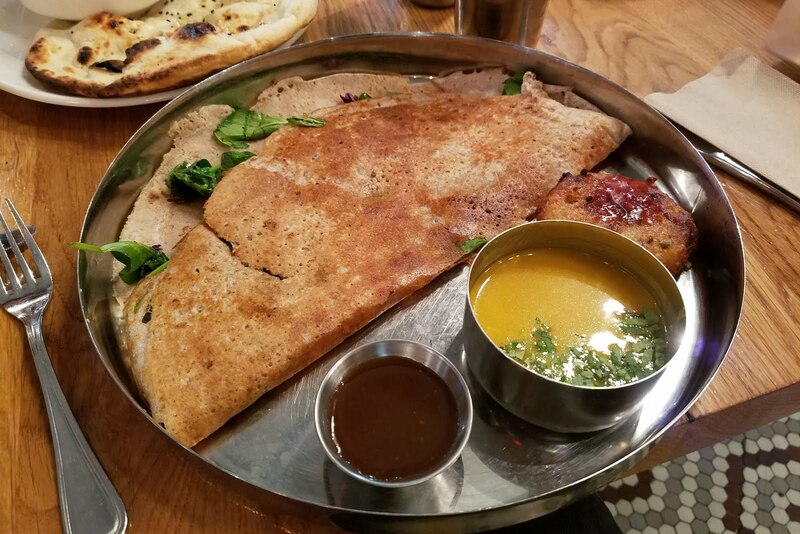 M. and I split a dosa from the breakfast menu and the saag paneer curry from the lunch menu and were so incredibly delighted with lunch, we practically licked the plate clean. We're definitely going back to see what the regular lunch menu entails, but I'm sure we will not be disappointed.